Activity filled vacations and party trips! Getaway to a Caribbean paradise! Who will you vacation with? Calling all children, parents and grandparents to a family holiday! Girlfriend getaways, sports & business groups and groups of friends! 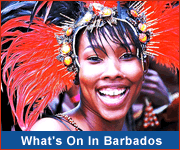 For the best in Caribbean vacations and holidays, Barbados is one of the most diverse and active destinations, offering more attractions per square mile than any other Caribbean island. Activities range from submarine tours to ziplining; jeep safaris to heritage tours; exciting Caribbean nightlife to fine dining. Simply everything you'd want on a Caribbean vacation. To help you plan your ideal Caribbean vacation, we have created Holiday Themes that point you towards the perfect resorts and activities matching your vacation interests. 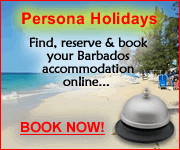 Many of these Barbados resorts and activities offer specials deals and packages for theme holidays. One area in which Barbados has been expanding in recent times is that of health tourism. For example we now have an internationally recognised Fertility Clinic. Click here for further information on the Barbados Fertility Centre. Select from the list of holiday themes or use our Real Holidays travel planner to create a custom-made Barbados Caribbean vacation! 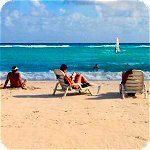 Packaged Caribbean holidays including accommodation, activities, transport, tours, island trips, restaurants, sports, local events, Caribbean festivals and island attractions. St. Lucia Vacation Planning & Reservations Center: Caribbean | St Lucia hotels, apartments, apartment hotels, villas, resorts, all-inclusive holidays, family vacations, Caribbean Romance - Caribbean weddings, St lucia holiday themes, accommodation directory, activities, St lucia search engine, compare cost, get quotes, reserve, book online.